Okay, this function is obviously not overly original, but it's kind of cool anyway. You may or may not have got this notification when you logged onto Facebook on desktop at some stage this week. Over on the left of screen, in your 'Apps' section, there's now a new one called 'Live Video' - click on it, and you'll be taken to a world map that will populate with a range of little blue dots, each representative of where a Facebook Live video is being broadcast from at that moment. The Live map's been available in the Facebook app for about a month, but it's now accessible via desktop also. In addition, on the left of screen, Facebook now highlights the most popular Live streams, ranked by total viewer counts, to help you find the most interesting - or at least, most viewed - content. The leading video will autoplay as you look around. If you hover over any of the blue dots on the map, a small preview window will come up, along with a series of lines indicating where the viewers of that stream are tuning in from. The size of the blue dot is relative to the number of viewers, and only streams with a significant number of watchers at any the time will come up with the viewer display. Interesting, too, that the left hand side bar listing doesn't appear to update in real time - as you can see (if you squint), the video highlighted above has 300 viewers, which should put it above the bottom two on the list, based on viewer counts. Either that or Facebook has some level of editorial insight and isn't ranking some content which may be deemed questionable - which, based on a quick look, the map feature may actually make easier to find. You can also zoom in on any region for a more detailed view. And if you click on any Live stream, the video expands, with the main content in the middle of the screen and a bottom slider showing other trending Live content. 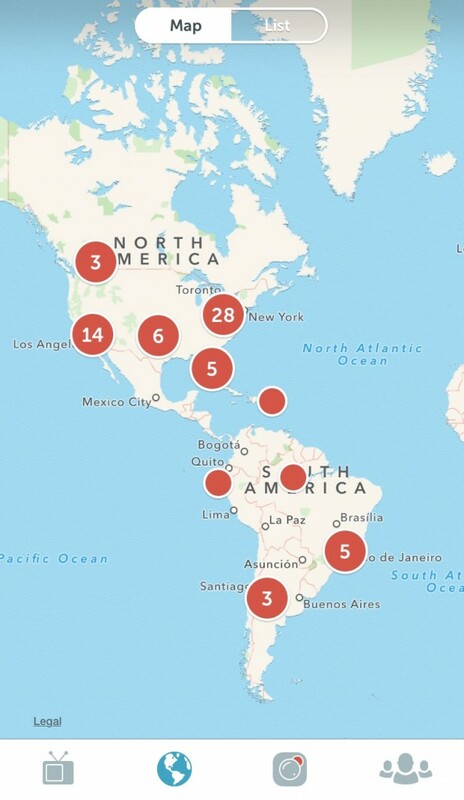 As noted, a live stream map feature is not exactly a new idea - Periscope has had a similar option in place since June, showcasing where Periscope streams are happening, which has been particularly useful when trying to get more perspective on major events (like last year's Paris attacks). 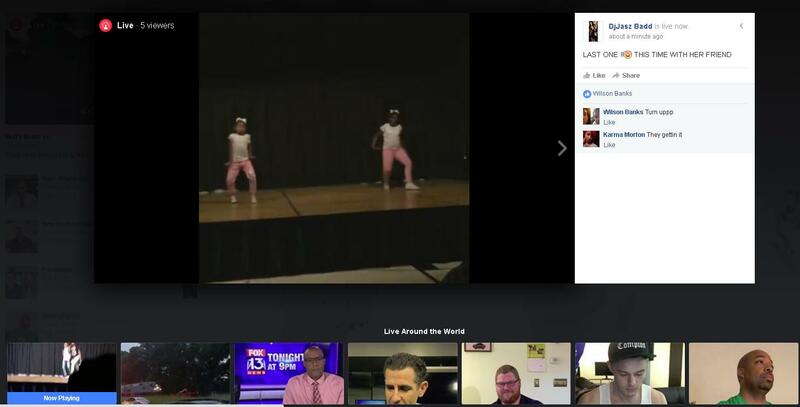 Facebook's Live map, however, does have a few more tricks - and it's available via desktop, which can only help showcase Live content to more viewers. It's another way Facebook's looking to emphasize live content and become a bigger player in the live-streaming and real-time connection space. 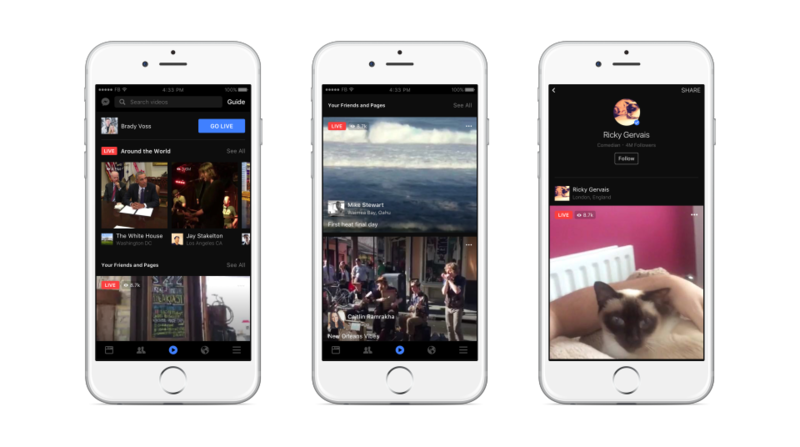 Facebook recently announced a major update for Live which puts increased emphasis on Live content discovery within the Facebook app, with the video button displayed prominently in the middle of the bottom bar - a position formerly occupied by Messenger. 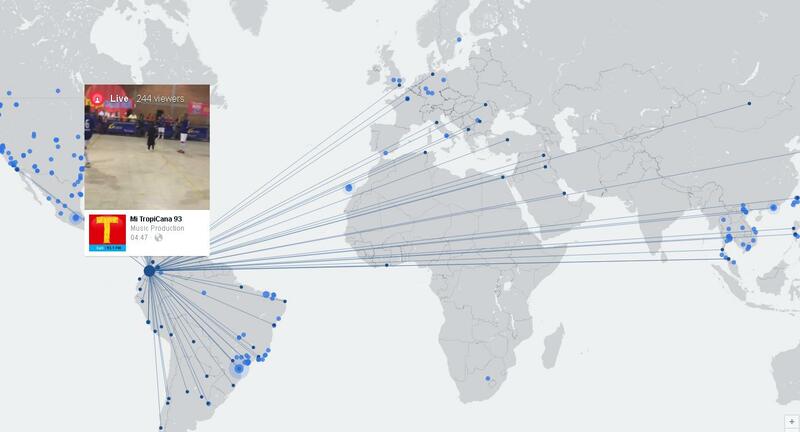 The first iteration of Facebook's Live map was rolled out last month as part of the most recent Live update, but Facebook's now making specific efforts to highlight the feature and get more people watching. Reports have suggested that Facebook CEO Mark Zuckerberg is 'obsessed' with live-streaming, so it's no surprise to see these additional prompts to nudge you towards Live content. And while the signal-to-noise ratio of live-stream content remains an issue, Facebook's ranking of videos by most viewers is an effort to alleviate this, while the platform's undertaking various other negotiations to ensure high quality material is being created and shared via Live in order to help build audience and make it a more appearing offering. You can check out the Live map in the Facebook app or on desktop - if it's not in your 'Apps' listing yet, it will be soon.